It’s been nine years since one of rock’s most influential artists left millions in mourning. With his passing came a new generation of listeners that would discover the two-minute songs by Queens-based group The Ramones, led by their towering front man. However, few really knew Joey Ramone, until now. When bassist Dee Dee Ramone’s ex-wife Vera Ramone King first published Poisoned Heart, she told us that Joey’s younger brother Mickey Leigh was also coming out with a book. 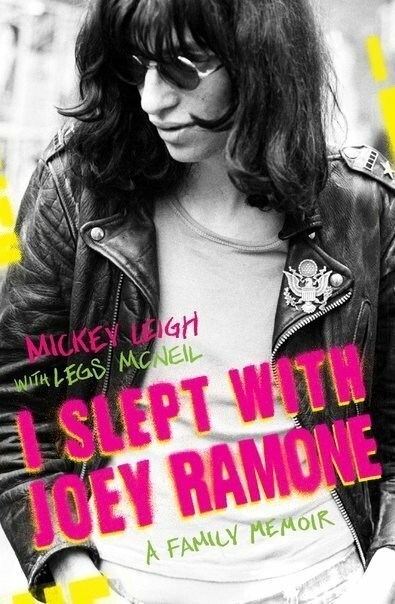 Finally, his highly anticipated memoir, I Slept with Joey Ramone, written with Punk Magazine co-founder Legs McNeil, debuted in bookstores. Many assumed Mickey was cashing in on his famous sibling’s legacy, but was he? I Slept With Joey Ramone explores the private, misunderstood life of a punk icon, but more importantly, it’s a brutally honest tale about Jeff Hyman, told by the person who knew him best. I Slept With Joey Ramone isn’t the first time that Mickey and Legs have gotten candid on the “brothers” of Forest Hills. There’s also Please Kill Me where Mickey reveals that Joey was put in a “nuthouse” for his odd behavior. I Slept With Joey Ramone has a similar theme of Mickey discussing his brother’s many battles, including with bullies, OCD, and eventually lymphoma. At times, Joey is depicted as an adoring older brother who relied on Mickey to create music. At other times, he was an abusive rock star who refused to give credit where it was due. Mickey does express his frustration over not receiving the compensation he deserved for being an integral part of The Ramones, and rightfully so. While Joey released hit after hit, his younger brother struggled to make ends meet. Many will wonder why Mickey waited several years after Joey’s death to come clean, but his book reveals the man behind the legend, which was long overdue. I Slept With Joey Ramone is an astonishing, jaw dropping read. Filled with humor and shocking anecdotes, Mickey’s portrait of his talented, troubled sibling is one that gives fans an explanation on why the man chose to hide behind shaggy hair and rose tinted glasses. Expect to embark on a journey filled with New York City glam and plenty of music, all led by punk rock’s founding father and the guy that dared share a bed with him.